The exhibit brings out the folk artist in the pioneering modernist painter. Exhibit presents the folk artist in Manansala, such as this stately work, "Pamilya." (SPOT.ph) Seven masterpieces by the late National Artist Vicente Manansala now adorn the walls of the National Museum. These paintings, part of an extensive collection commissioned by Philam Life, are now on display for the public's appreciation and enjoyment. 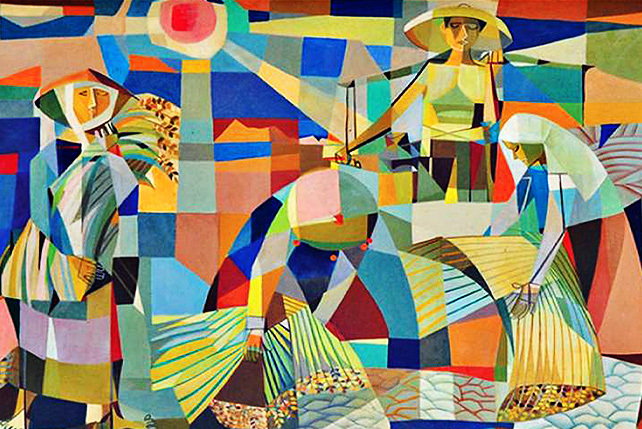 These works depict rural life and traditions, all done in Manansala's pioneering style of transparent cubism which, to be sure, is just one of many facets about his artistry. The collection includes: "Manok" (which shows multihued roosters in the foreground of a cityscape with house on stilts); "Kalabaw"; "Magsasaka," featuring a group of women accompanied by a man as they gather rice stalks from the fields; "Pamilya," which depicts a family fervently praying before a meal; "Harana"; "Pagkain"; and "Isda"-the last three paintings signifying a different time, with its bygone traditions, and the Filipino people, then, presumably having more. As art serves as a mirror of its society, a very different Philippines would be depicted by "SR," or the social-realist movement some decades later. 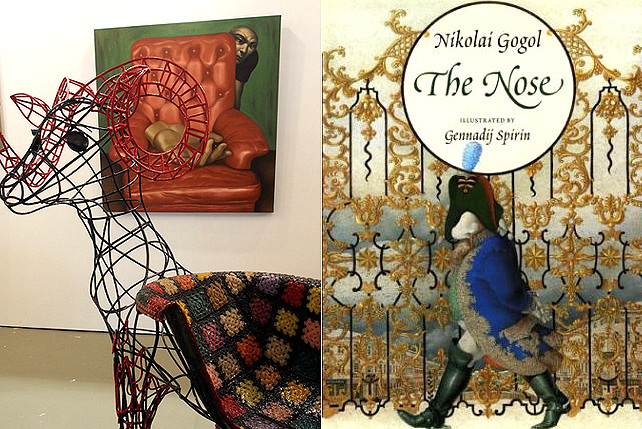 The vibrant "Magsasaka" seems to defy the romantic treatment usually accorded to this subject. National Museum director Jeremy Barns said it was important for the Museum to feature the works of Manansala, citing a crucial fact that nobody would dispute, although it is largely taken for granted-that Manansala is "one of the most important Filipino painters of the 20th century." "Creating a special gallery accessible for general viewing is right in line with our efforts to further promote appreciation of the arts," said Philam Life Director and CEO Rex A. Mendoza. Manansala is broadly classified among the thirteen modernist and neo-realists whose works sought to clarify, in visual terms, the country's postwar identity and culture, following its experience with colonialism and the devastation of the Pacific War. He died in 1980-by which time, the social-realist movement was underway, although his artistry remained much-admired among the artistic community, regardless of their persuasions. That year too, he was posthumously declared National Artist in Visual Arts. The playful yet thoroughly compositional "Pagkain." The Manansala Exhibit is at the Philam Life Hall, 3/F National Museum, Padre Burgos Drive, Rizal Park, Manila. It's open Tuesdays to Sundays, 10 a.m. to 5 p.m.